Last year, young filmmaker Ravikanth Perepu made a successful debut with the path-breaking kidnap drama, Kshanam. Ravikanth is currently shooting his second film starring Siddhu Jonnalagadda. As per the latest reports, Ravikanth got engaged to Veena Ghantasala in Chennai recently. Veena is a noted playback singer and dubbing artiste. She is the granddaughter of legendary playback singer Ghantasala and daughter of actor and dubbing artiste Ghantasala Ratnakumar. Apparently, it was love at first sight for the young director when he met Veena when she dubbed for Adah Sharma in Kshanam. The wedding will take place on November 11. 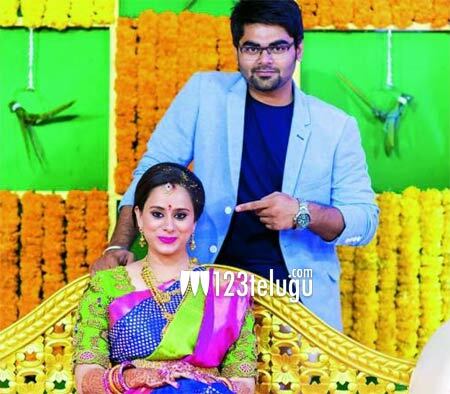 123telugu.com wishes the young couple a happy married life.